During 2011-2015, 101 cases of occupational noise-induced hearing loss (ONIHL) were diagnosed in Thailand. Among them, 37 cases were compensated by the Thai compensation fund. This is a case report to reflect the Thailand situation of ONIHL in occupational settings. Only a few companies in Thailand have adopted the annual audiometric test with baseline audiograms and retests, refer their employees to occupational physicians to diagnose its feasibility of occupational disease. Proper baseline revisions were not performed, which resulted in over-investigation (retests) and unnecessary referrals. Screening protocols for Hearing Conservative Programs (HCPs) were not performed properly. Occupational noise-induced hearing loss is extremely under diagnosed in Thailand. ISNAD Chernbamrung, Theerasit , Lee, Hu-Jang , Saengsongsin, Thanapong , Prasan, Shewarat , Rattanapong, Kanyapak , Srichan, Rapeepon , Park, Eun-Kee . "Surveillance of Occupational Noise-Induced Hearing Loss: The Current Situation in Thailand". 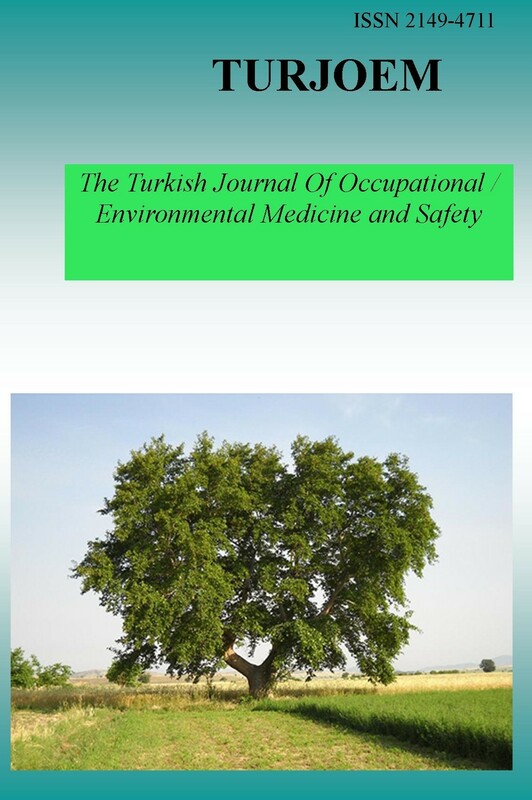 The Turkish Journal Of Occupational / Environmental Medicine and Safety 3 / 1 (February 2018): 6-6.